Michael DeYoung is a landscape and adventure photography mentor, guide, and workshop instructor with a successful commercial photography career. Zion Guru collaborates with Michael and his extraordinary talents to offer private instruction, mentoring, and workshops in southern Utah. 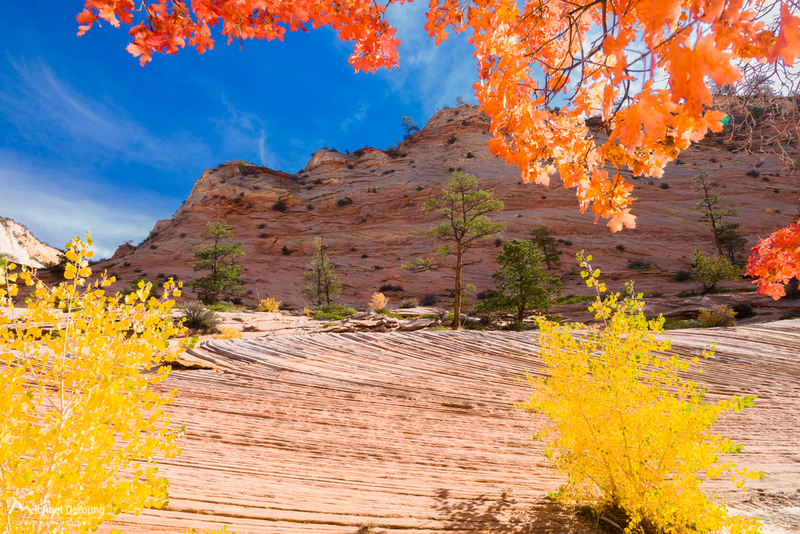 Our Zion National Park excursions offer captivating terrain, off-the-beaten path and secret destinations, slot canyons, and mega classics, such as the Zion Narrows. 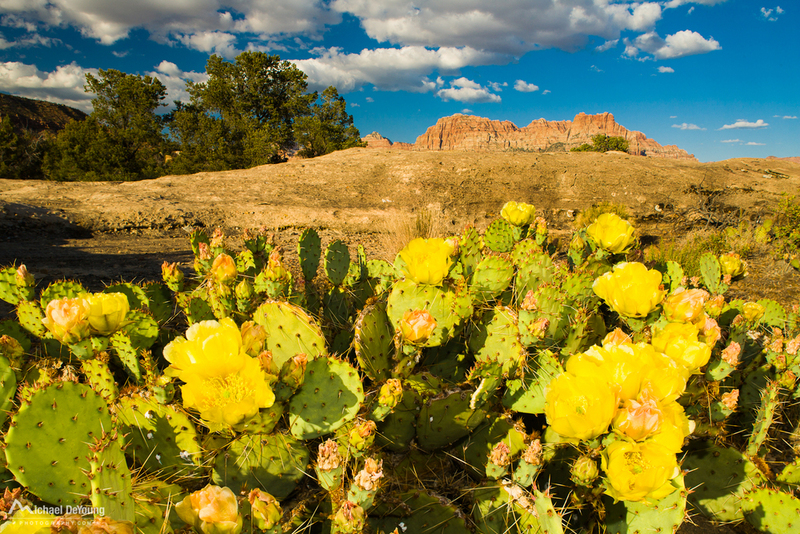 Capture some of the most inspiring and colorful scenery in Southwestern Utah during this week long tour featuring both iconic and lesser known, but just as majestic, locations that afford the best photographic views and experiences found in the region. This adventure is designed to stimulate creativity with maximum engagement in target rich locations. Expand your vision, learn desert lighting skills, and gain confidence in your technique during this seven-day, field intensive/comprehensive photo tour. The short answer is ROI - your return on investment. Workshops are great and provide a unique group experience. We love them and they serve as a very valuable platform for learning and growing as a photographer with others. Private Instruction concentrates the learning and guidance with fewer distractions and custom content. All of our attention is focused on helping and guiding you. A group of 2 moves much more quickly than a group of 8, meaning more time shooting on location. If you don’t have time for a workshop, are not finding one that addresses what you want to learn, or you just prefer to learn in a private environment, then create your own one-day or multi-day workshop. We would love to help you! PRIVATE PHOTO TOUR VS PRIVATE INSTRUCTION: WHAT’S THE DIFFERENCE? PRIVATE PHOTO TOURS are best suited for photographers who have a good understanding of their digital SLR operation and a basic understanding of manual, shutter priority, or aperture priority exposure modes. We will take you to the most photogenic spots at the best times, based on your preferences, offering technical advice and lighting analysis on location to help you capture the best images of the day. PRIVATE INSTRUCTION or mentoring, is ideal for intermediate and advanced shooters who prioritize improving as a photographer more than simply photographing the local area. Do you want to improve your landscape, action, environmental portrait and travel photography technique, creative and lighting skills, Lightroom and post production skills? Thinking about turning pro? Michael can help with portfolio reviews or business principles as well. If you are Canon shooter Michael can show you how to fine tune your camera and truly make it an extension of your creative eye. RATES (2 day min): 1-2 participants = $700/day, 3-4 participants = $950/day. Michael DeYoung is an established guest workshop instructor for Rocky Mountain School of Photography, teaching aspiring pros the business of outdoor photography. His 20+ year commercial career involves working with other creative professionals, solving problems and creating imagery for advertising and national media. 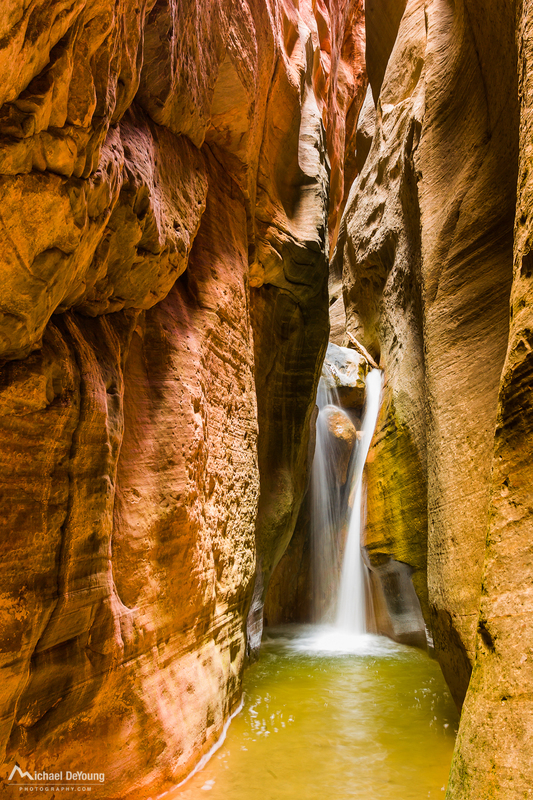 Michael, along with his wife and photo assistant, Lauri, have been exploring Zion National Park every year since 2001. They know the light and land intimately. Workshop curriculum locations have been meticulously researched take you to the lesser-known but very photogenic places, avoiding crowds and capturing one-of-a-kind shots.